Heat sealers come in all shapes, sizes and for all manner of sealing work – sometimes, it can be tricky to pick the right tool for the job! Here at Spirepacks, we understand that there is a huge range of heat sealing tools out there and we are happy to act as your helping hand in finding the right sealer for you at a price you can afford. With over 8000 products in our supply, we consider ourselves to be experts in heat sealing – as long-time stockists of vacuum sealers and Impulse heat sealers, we’re confident that you’ll be able to find the right tool for the job no matter what material or dimensions you may be working with. From a wide range of Impulse sealer products to spare parts and accessories for your existing heat sealing machine, Spirepacks have you covered. Whether you’re looking for a new heat sealer to try out, tools to help with sealing polystyrene and film bags or you simply need a quick repair kit; Spirepacks are always on hand to help you. Our large catalogue of supplies is quick and easy to browse, with all the information and dimensions you need to help make your heat sealing shopping as simple as possible. If you’re new to heat sealing and would like advice on what may work best for you, we’re here to help, too! You can always contact us via webform at your convenience and one of our team will offer you expert support as soon as possible. All of our machines are provided with a standard 12 months return-to-base warranty from the date of the invoice being produced – meaning that your invoice will act as a proof of purchase and therefore your key to any warranty claims. While we are afraid we cannot repair or replace any heat sealing machines due to wear and tear, accidental damage, tampering or misuse, we consider our returns and claims process to be protective of your rights – and you have our assurance that all of our vacuum sealer and heat sealer machines are fully checked and tested before dispatch – meaning that we are confident your machine will work wonders for you for a long time to come. If you do need to provide your machine for repair to our service centre, please be advised that a fee of £15.00 plus return delivery may apply if it is found to be in fully working order on our receipt. With payment options for Google Checkout, PayPal and cheque, you can be assured of additional security when checking out with us – please be advised that additional processing time may apply depending upon the method of payment you choose. We are confident that you will be satisfied with your purchase from SpirePacks – however, if there is ever any problem with your order or you’d simply like to exchange one heat sealer for another (Impulse heat sealers or otherwise), we will be happy to accommodate you. 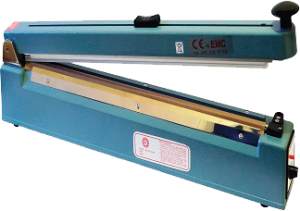 Simply ensure that you provide your sealing machine or repair kit unused and in sealed condition upon return and we will negotiate the rest with you. It’s also worth remembering that we will allow anyone to cancel their order within seven days of processing, meaning that you will always have time to change your mind if you need to! 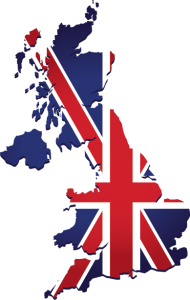 SpirePacks deliver exclusively within the UK and can supply any heat sealing equipment or supplies nationally within 24 hours of payment having cleared (excluding weekends and bank holidays), and we can provide tools either via standard (signed-for) mail or via courier. For more information on our delivery rates and options, please read further via our Delivery page. We’d like you to receive your heat sealing machines as soon as possible, and are therefore willing to provide a flexible and affordable approach to shipping. From Impulse heat sealers to vacuum sealers and accessories for a wide range of tools and film sealing equipment, SpirePacks run the gamut of heat sealing machines at affordable prices along with expert advice on any queries you may have. For more information, why not have a look at our catalogue, our terms and conditions, or send us a query via webform? For heat sealing equipment and supplies at competitive rates, look no further than SpirePacks!